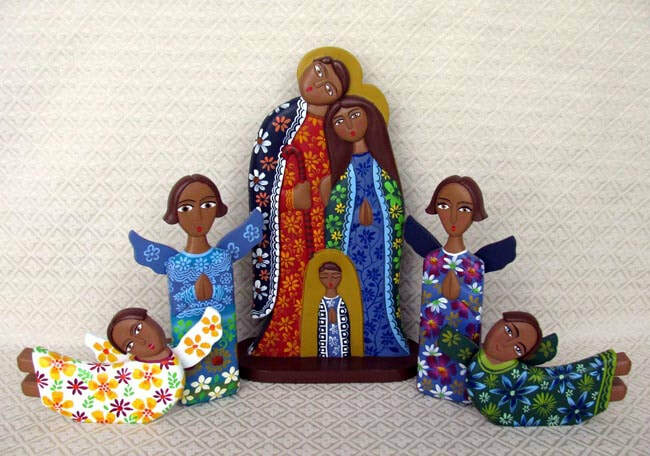 This Nativity scene includes the Holy Family painted on one piece of wood. The Holy Family is joined by two female kneeling angels and two male flying angels. The Holy Family sculpture stands 12.25 inches tall.